French film Pioneer and innovator Georges Méliès sadly passed away 21 January 1938. born December 8th 1861. After completing his education, Méliès joined the family shoe business, where he learned how to sew.When visiting London,after visiting the Egyptian Hall, run by the famous London illusionist John Nevil Maskelyne, he developed a lifelong passion for stage magic. Méliès returned to Paris in 1885 with a new desire: to study painting at the École des Beaux-Arts, he also attended performances at the Théâtre Robert-Houdin, which had been founded by the famous magician Jean Eugène Robert-Houdin, and began taking magic lessons from Emile Voisin. In 1888 Georges Méliès purchased the Théâtre Robert-Houdin. 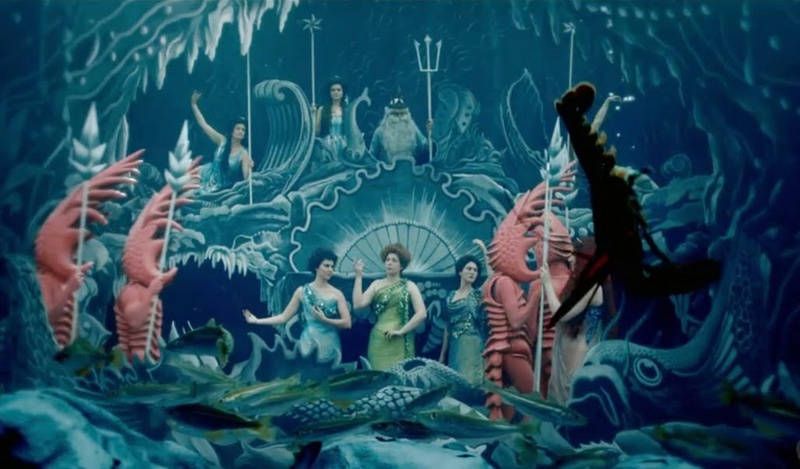 Although the theatre was “superb” and equipped with lights, levers, trapdoors, and several automata, Over the next nine years, Méliès personally created over 30 new illusions that brought more comedy and melodramatic pageantry to performances, much like those Méliès had seen in London, and attendance greatly improved. One of his best known illusions was the Recalcitrant Decapitated Man, in which a professor’s head is cut off in the middle of a speech and continues talking until it is returned to his body. While running the theatre, Méliès also worked as a political cartoonist for the liberal newspaper La Griffe. As owner of the Théâtre Robert-Houdin, Méliès began working more behind the scenes & acted as director, producer, writer, set and costume designer as well as inventing many of the magical tricks. With the theatre’s growing popularity, he brought many famous magicians to the theatre. Along with magic tricks, performances included fairy pantomimes, an automaton performance during intermissions, magic lantern shows, and special effects such as snowfall and lightning. In 1895, Méliès was elected president of the Chambre Syndicale des Artistes Illusionistes.Between 1896 and 1913, Méliès directed 531 films, ranging in length from one to forty minutes & these were often similar to the magic theatre shows that Méliès had been doing, containing “tricks” and impossible events, such as objects disappearing or changing size,by experimenting with multiple exposureS he was also able to play seven different characters simultaneously in film .Afterr seeing the Lumière brothers’ films he bought several films and an Animatograph film projector & By April 1896 the Théâtre Robert-Houdin was showing films. Méliès built a film camera using parts from automata and special effect equipment. However film processing labs didn’t exist so Méliès had to develop and print the films through trial and error. ln 1896 he patented the Kinètographe Robert-Houdin, an iron-cast camera-projector, which Méliès referred to as his “coffee grinder” and “machine gun” because of the noise that it made. Méliès began shooting his first films in May 1896, and screening them at the Théâtre Robert-Houdin and founded the Star-Film Company. Many of his earliest films were copies and remakes of the Lumière brothers films, including his first film Playing Cards, which is similar to an early Lumière film. However, many of his other early films reflected Méliès’s knack for theatricality and spectacle, such as A Terrible Night, in which a hotel guest is attacked by a giant bedbug. Considered perhaps the 20th century’s best chronicler of English culture, the English novelist and journalist George Orwell, sadly passed away on 21 January 1950. Born Eric Arthur Blair on 25 June 1903, in Motihari, Bihar, in India, His work is marked by clarity, intelligence and wit, awareness of social injustice, opposition to totalitarianism, and belief in democratic socialism.Although Orwell wrote literary criticism, poetry, fiction and polemical journalism. He is best known for the dystopian novel Nineteen Eighty-Four (1949) and the allegorical novella Animal Farm (1945), which together have sold more copies than any two books by any other 20th-century author. His book Homage to Catalonia (1938), an account of his experiences in the Spanish Civil War, is widely acclaimed, as are his numerous essays on politics, literature, language and culture. In 2008, The Times ranked him second on a list of “The 50 greatest British writers since 1945″. Orwell’s work continues to influence popular and political culture, and the term Orwellian — descriptive of totalitarian or authoritarian social practices — has entered the vernacular with several of his neologisms, such as doublethink, thoughtcrime, Big Brother and thought police. Nineteen Eighty-Four was published in 1949. It is a dystopian and satirical novel set in Oceania, where society is tyrannized by The Party and its totalitarian ideology.The Oceanian province of Airstrip One is a world of perpetual war, omnipresent government surveillance, and public mind control, dictated by a political system euphemistically named English Socialism (Ingsoc) under the control of a privileged Inner Party elite that persecutes all individualism and independent thinking as thoughtcrimes. Their tyranny is headed by Big Brother, the quasi-divine Party leader who enjoys an intense cult of personality, but who may not even exist. Big Brother and the Party justify their rule in the name of a supposed greater good.The protagonist of the novel, Winston Smith, is a member of the Outer Party who works for the Ministry of Truth (Minitrue), which is responsible for propaganda and historical revisionism. His job is to re-write past newspaper articles so that the historical record always supports the current party line. Smith is a diligent and skillful worker, but he secretly hates the Party and dreams of rebellion against Big Brother. As literary political fiction and as dystopian science-fiction, Nineteen Eighty-Four is a classic novel in content, plot, and style. 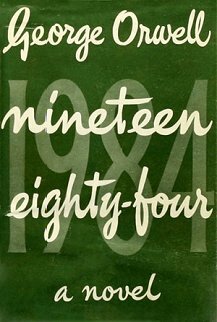 Many of its terms and concepts, such as Big Brother, doublethink, thoughtcrime, Newspeak, and memory hole, have entered everyday use since its publication in 1949. Moreover, Nineteen Eighty-Four popularised the adjective Orwellian, which describes official deception, secret surveillance, and manipulation of the past by a totalitarian or authoritarian state. In 2005 the novel was chosen by TIME magazine as one of the 100 best English-language novels from 1923 to 2005. It was awarded a place on both lists of Modern Library 100 Best Novels, reaching number 13 on the editor’s list, and 6 on the reader’s list. In 2003, the novel was listed at number 8 on the BBC’s survey The Big Read. Animal Farm is an allegorical novella which was published in England on 17 August 1945. According to Orwell the book reflects events leading up to the Russian Revolution of 1917, and then on into the Stalin era in the Soviet Union. Orwell, a democratic socialist, was a critic of Joseph Stalin and hostile to Moscow-directed Stalinism, especially after his experiences with the NKVD and the Spanish Civil War. The Soviet Union he believed, had become a brutal dictatorship, built upon a cult of personality and enforced by a reign of terror. In a letter to Yvonne Davet, Orwell described Animal Farm as his novel “contre Stalin” and in his essay of 1946, Why I Write, he wrote that Animal Farm was the first book in which he had tried, with full consciousness of what he was doing, “to fuse political purpose and artistic purpose into one whole”. 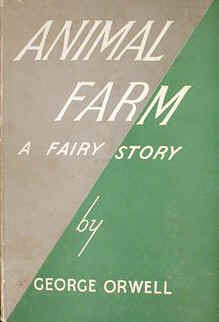 The original title was Animal Farm: A Fairy Story, but the subtitle was dropped by U.S. publishers for its 1946 publication and subsequently all but one of the translations during Orwell’s lifetime omitted the addition. Other variations in the title include: A Satire and A Contemporary Satire. Orwell suggested the title Union des républiques socialistes animales for the French translation, which recalled the French name of the Soviet Union, Union des républiques socialistes soviétiques, and which abbreviates to URSA, the Latin for “bear”, a symbol of Russia. It was written at a time (November 1943-February 1944) when the wartime alliance with the Soviet Union was at its height and Stalin was held in highest esteem in Britain both among the people and intelligentsia, a fact that Orwell hated. It was initially rejected by a number of British and American publishers, including one of Orwell’s own, Victor Gollancz. Its publication was thus delayed, though it became a great commercial success when it did finally appear—in part because the Cold War so quickly followed WW2. Time magazine chose the book as one of the 100 best English-language novels (1923 to 2005); it also places at number 31 on the Modern Library List of Best 20th-Century Novels. 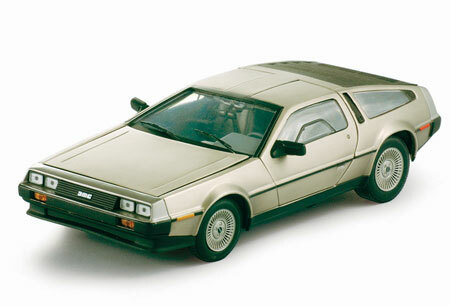 It won a Retrospective Hugo Award in 1996 and is also included in the Great Books of the Western World. The novel addresses not only the corruption of the revolution by its leaders but also how wickedness, indifference, ignorance, greed and myopia corrupt the revolution. It portrays corrupt leadership as the flaw in revolution, rather than the act of revolution itself. It also shows how potential ignorance and indifference to problems within a revolution could allow horrors to happen if a smooth transition to a people’s government is not achieved.